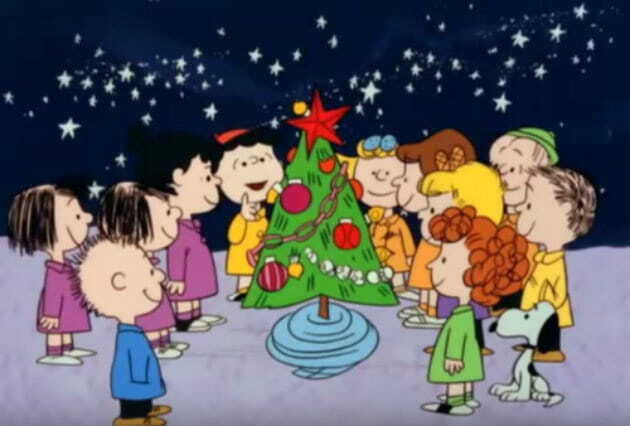 A few days ago, I wrote down some thoughts about a beautiful moment that has been hidden in plain sight for 50 years in A Charlie Brown Christmas. As a pastor, I am thrilled at the encouragement it has given, and as a former literature teacher, I am thrilled that it has started a firestorm of film analysis! Many of you have pointed out that at the end of the scene, Linus picks the blanket back up, and have openly wondered why. 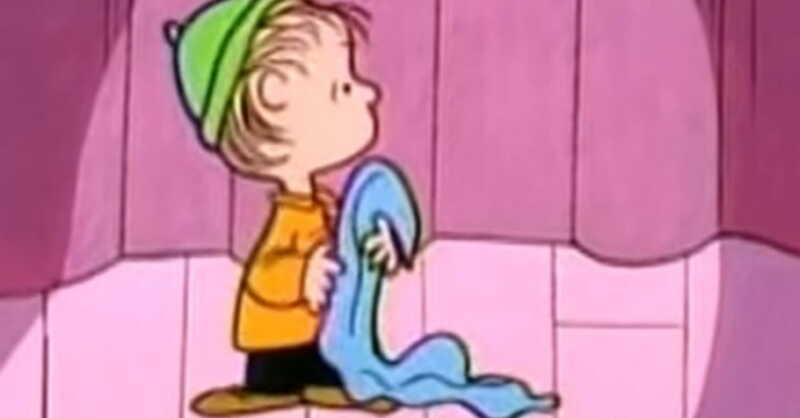 After the epic, blanket-dropping recitation of Scripture given by Linus in response to Charlie Brown's quest for meaning, he picks the blanket back up. Why would Linus pick that old security back up after so boldly proclaiming an end to fear? Why does he leave the stage with that security blanket still in his hand? We first must realize that we all carry that same blanket. 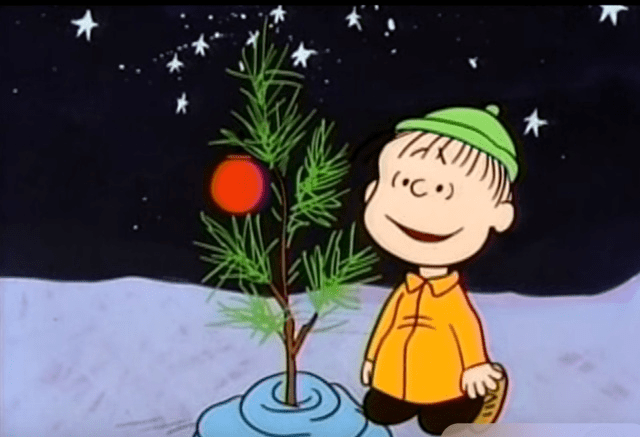 Just like Linus, we may stand tall in a moment of faith and conviction, a moment when Scripture hidden in our heart comes to life, and all else is flung aside as we experience and proclaim the true freedom and security that only Jesus can give. But at some point, out of habit, we reach down and pick that thing right back up. Faith, while powerful, is also delicate. Linus clearly knows the truth, and clearly proclaims the truth. The knowledge is there and the wisdom is there and the passion is there. So why does he pick it back up? I think the answer is strikingly clear. It is because we all do the same thing. We know. We feel. We proclaim. Yet we gaze in the mirror one morning to find that tattered old blanket draped over our shoulder yet again. And we realize that we have become so used to it being there that we hardly even noticed it. But that is not where this blanket story ends. The show ends with the Peanuts gang not just singing, but clearly and unquestionably singing in worship. Even the musical style at this point is different from anything else heard previously. The obvious song choice here could have been "O Christmas Tree," the notes of which have already been playing gently in the background. But the focus is no longer the tree. The focus has become bigger than the tree. The focus is Jesus. With this new focus, the kids instead slide effortlessly into "Hark the Herald Angels Sing, Glory to the Newborn King," and what we are now witnessing is essentially an impromptu worship service. But before any of this happens, Linus parts with that blanket yet again, and lays it down for good at the base of that beautiful Christmas tree, just as we should strive to not just lay our blanket down just anywhere, but leave it forever behind us at the foot of that cross, for our own good and the good of others. Linus and friends have moved from speaking truth and hearing truth into a deeper place of worship, where they finally respond to that truth, much like those shepherds who were instructed to "fear not" so very long ago. It is here at the end of the show that Linus lays that blanket down yet again, and this time? He doesn't look back. As a writer and musician, Jason Soroski strives to communicate in a way that is insightful, meaningful, relevant, and mindful of the small things that we may otherwise overlook in our everyday lives. He effectively taps into his experiences as a worship pastor, classroom teacher, husband, and homeschooling father of five to relate poignant stories from real-life experiences. Jason holds an M.Ed. from Missouri Baptist University, has been featured in various print and web publications, and currently resides in Houston, TX. Read more from Jason at his blog The Way I See It.